If you happen to rely on an animal for emotional support, you may be protected by a federally supported emotional support dog letter. There are numerous laws in place to protect individuals just like you. Of course, it needs to be known that you may want to file your emotional support dog registration and need to acquire an emotional support dog letter, before you’ll be allowed to perform some tasks with your pooch. You may need these documents, in order to persuade a landlord to drop their traditional “no pets” policy and allow you to move into one of their properties. What is this letter, what does it do, and how can you obtain one for yourself? Continue reading to find out. First and foremost, you should understand that the emotional support dog letter is a document used to confirm your need and eligibility for an ESA, emotional support animal. The emotional support dog letter needs to be obtained from a certified therapist. Although it depends on your therapist and his or her mindset, there are numerous emotional and mental disabilities, which will qualify you to use an ESA. Cognitive decline, autism, depression, anxiety, PTSD, panic attacks and many other mental and emotional health concerns are all qualified disabilities. By working with us, you’ll be able to acquire and print off this crucial document within a matter of days. Once you’ve got it in your possession, you’ll be able to utilize it to perform tasks, which would normally be off limits. There are many landlords out there that refuse to allow tenants to live with pets. 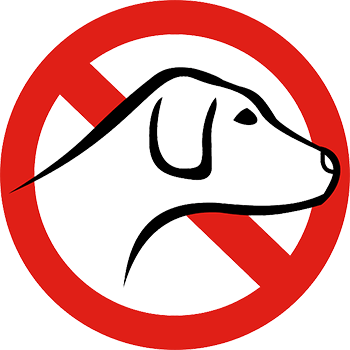 Generally, a “no pets” policy is very beneficial for landlords, since it diminishes the probability for their properties to get destroyed by animals. However, your case is different. Since your animal is there for medical purposes, the landlord is required by law to make an exception. Still, a lot of landlords can be fussy and they will most likely put up a fight, before succumbing and giving in. With this in mind, you’ll need to prove your need for the ESA and make the landlord aware of the laws presiding over such situations. One way to achieve this goal is by providing the landlord with the letter from the therapist. Once the landlord reads the letter, they’ll be forced to acknowledge your medical condition. Then, you may need to explain the laws to the landlord. Just remember to mention the Fair Housing Act Amendments. Once you do, the landlord will be forced to face up to the facts and allow you and your emotional service dog to move in, without any more fighting. Also, remember that your landlord cannot charge you a more expensive security deposit, in order to protect themselves from potential damages associated with your ESA. Taking an animal on an airplane can be very difficult. The airlines will often require travelers to jump through several hoops, before they’ll agree to transport the animals. And often times, the airlines will require the dog to be caged and rise alongside the passenger’s luggage. If the animal is small enough, it may be situated underneath your seat. This can be very problematic for someone like you, since you need access to your pooch at all times. The federal government is well aware of your dilemma and has put measures in place to prevent such discrimination. Now, the government has implemented the Air Carrier Access Act, which requires airlines to allow your animal to sit alongside you throughout the flight. Sometimes, the airlines will also attempt to charge an additional fee for bringing your pooch onboard. This is acceptable, if the dog isn’t a service animal or an emotional support animal. However, since your dog is classified as an emotional support animal, it would be illegal for the airlines to try and charge for this service. Just remember that the airline companies will attempt to fight you tooth and nail! With this in mind, you’ll need to give yourself a leg to stand on. Just make sure you acquire an ESA letter from us. With this letter, you will be able to prove to the airlines that your dog is present for medical reasons. One look at the letter will force the airlines to change their mind and immediately grant your dog access, without any additional fee! We sincerely understand that you have difficulty traveling, due to your medical condition. This is why we’re willing to offer the documentation you need in a convenient and readily available manner. Just proceed through our form and one of our therapists will make contact with you. After the therapist has confirmed your ailment, they’ll provide you with the letter and you’ll be able to print it off and be on your way!